US Secretary of State Michael Pompeo has berated Iranian Supreme Leader Ayatollah Ali Khamenei for his unwillingness to oppose Beijing's alleged crackdown on thousands of Muslims in China's Xinjiang Uyghur Autonomous Region. Pompeo tweeted that while Khamenei touts himself as the leader of the Islamic world, his regime keeps mum on China, which remains the top buyer of Iranian oil and which "has persecuted and detained hundreds of thousands of its Muslim citizens." His remarks came after a United Nations survey which cited "credible reports" that at least one million Uygur people are being kept in internment camps, where they undergo forcible brainwashing procedures, accompanied by torture and extreme forms of surveillance. China refuted the report, telling the UN Panel on the Elimination of Racial Discrimination that the document was "completely untrue" and that the authorities will continue to pursue a policy of fighting Islamic extremism and separatism in Xinjiang province. 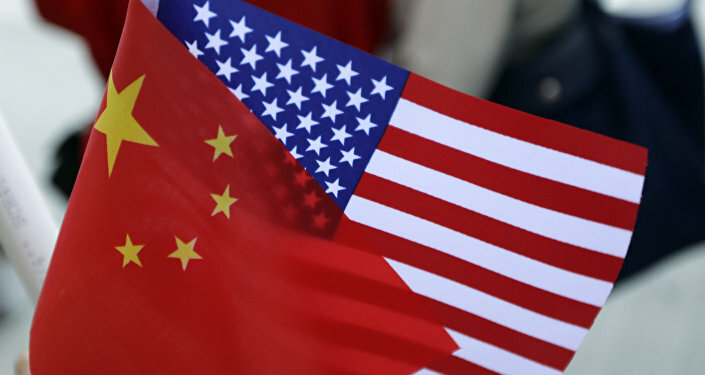 The developments come amid the ongoing trade row between Washington and Beijing which erupted in March, when US President Donald Trump, who has repeatedly pledged to fix the US trade deficit with China, announced that his administration would impose tariffs on imported steel and aluminum. Meanwhile, Tehran's oil exports to China have dropped due to Washington's sanctions against the Islamic Republic, which were re-introduced after the US withdrawal from the Iran nuclear deal in early May. Nevertheless, China remains Iran's largest customer and most important trading partner, with Beijing repeatedly signaling readiness to bolster bilateral economic cooperation.